Dr. Jaws is a hybridist author who combines art, science, philosophy, and ocean lore into an exhilaratingly novel approach towards one of the sea’s living masterworks: the shark. 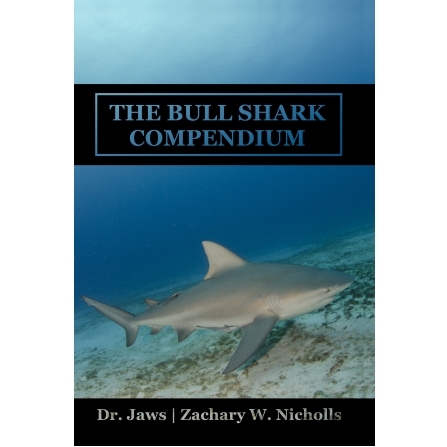 The Bull Shark Compendium is a compilation of hundreds of scientific papers from scientist from around the world, which have been coupled with philosophical discussions and lore. Open the book and find the scientific paper with references on the left page, and the discussions and lore on right page. This is the first book of its kind about a single species of shark — the bull shark. This book is in a 6 x 9 inch format and is 440 pages in length. Enjoy this book as your child reads the companion book in the Dr. Jaws series — Carcharhinus lecus.